OM Valley Permaculture, located in the Ohio, Miami & Mill Creek Valley region, hence OM Valley, is dedicated to Educating Cincinnati, the Region & the Planet about Permaculture (Whole Systems thinking to create a sustainable Planet for humans and all forms of life). To create this change we offer Classes, Consultations, Designs, & Implementation to clients with yards, homes, farms , businesses or communities who are looking to step into the next economy of sustainable, local resource development and resilience. This economy is the future and is focused on efficient, renewable, local self-sufficiency that will provide security and abundance for generations to come. Our mission is to help our clients and all people create a truly green & harmonized Planet! Increase our Quality of Life while reducing our Cost of Living! Heal the Earth for all Current and Future Generations of Life! Imagine a Humanity seamlessly harmonized and enhancing nature, where the 2 work in concert to fulfill their needs, imagine paradise! And who wouldn’t want this! 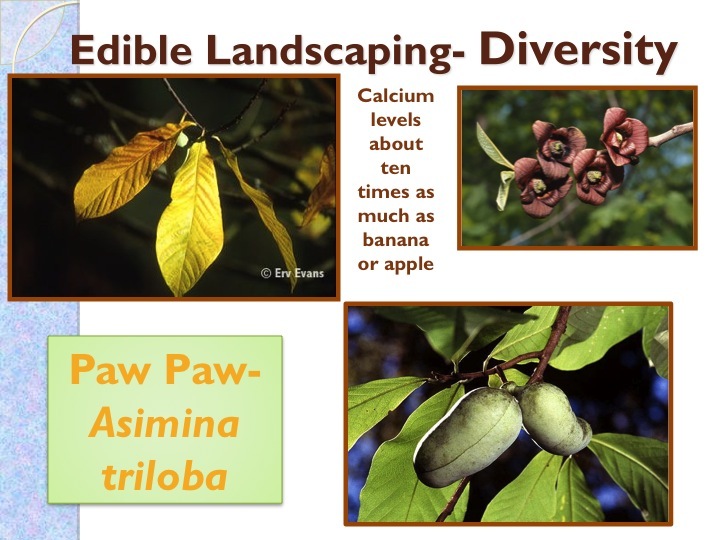 Systems Thinking & Design for your Yard, Home, Farm, Business, or Community to maximize efficiency for generations to come in a world of dwindling resources. The Ultimate Goal is nothing short of Paradise for all beings on this planet, which is achieved through Harmony of the Elements. I like to call Permaculture “Living on Planet earth 101”, or “Whole Systems Thinking” because it is a ethical green design philosophy that focuses on working with the laws of nature and the laws of energy to fulfill human needs to create a sustainable human society. It touches upon most aspects of our lives including food production, construction, energy, the arts, economics, and much much more. 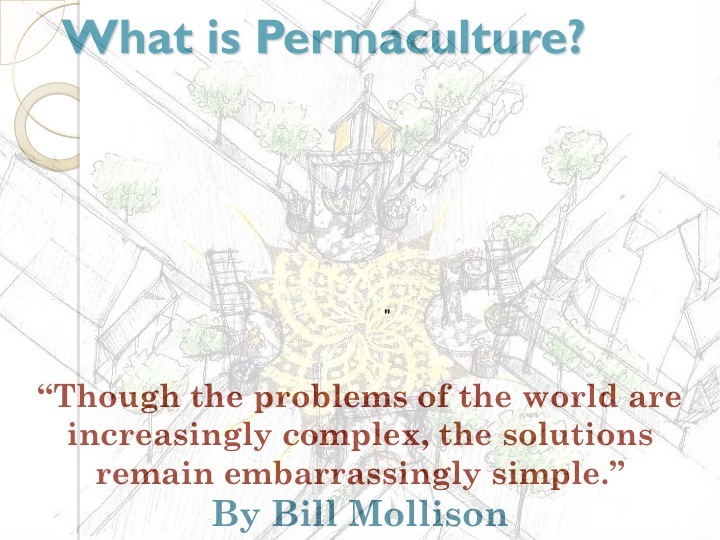 In short, Permaculture is the synergy of Society with Ecology (the sustainable element), achieved through the use of Design Methods (Creative Problem solving) to create low work, high yielding (resource) systems to fulfill all of our needs to live on this planet; while at the same time working to create more diverse, harmonized, & sustainable ecosystems for the planet. Just imagine going from endless miles of inefficient agriculture, homes, & communities dependent on finite fossil fuel and other resources to fulfill their needs through goods produced half way around the world to a Permaculture based society; a way that fulfills all of its needs through local natural cycles with minimal human input and produces abundant amounts of resources to fulfill our needs as well as natures! I am very interested in what you are doing out there. I would like to arrange a visit within the coming months to see the place(and have a visit with you to catch up). I ll be giving you a call soon to discuss the possibility. Found out about your blog from Erik Vap. My son lives in Americus, Georgia and just finished a course on permaculture. I’m interested in growing more of my own food in my backyard.